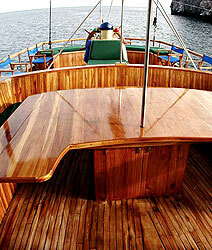 The Beagle is a magnificent, fully air conditioned, deluxe, 105 foot steel hulled schooner with teak deck and a luxurious interior. 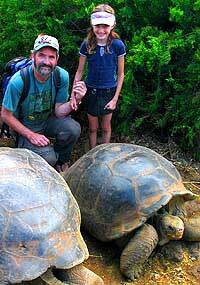 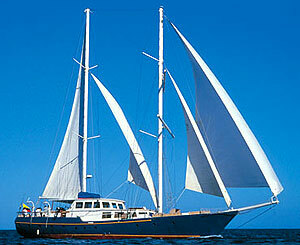 Built in London, England in 1971, the Beagle's owners have placed the highest priorities on comfortable and spacious accommodations, yacht maintenance and safety equipment that meet the highest standards for a cruise in the Galapagos Islands, Ecuador. 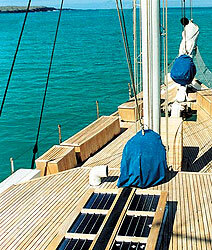 This beautiful sailing yacht boasts ample open and shaded deck space, delicious Ecuadorian cuisine served in the homelike salon or on deck, and high quality personal services on board by superbly trained captains, crew and multi-lingual naturalist guides licensed by Galapagos National Park and the Charles Darwin Research Station. 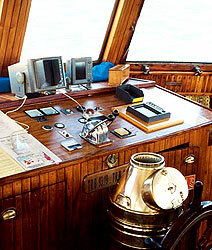 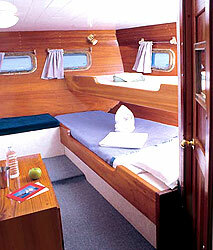 The Beagle has 6 double cabins, each with private shower and toilet.